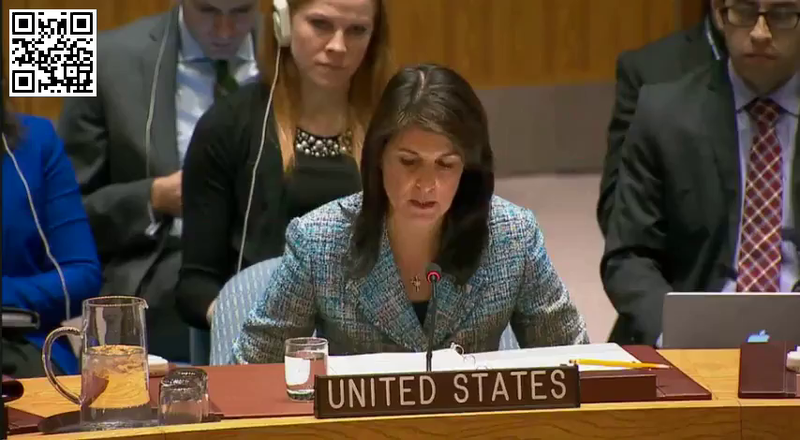 (by Reuters at JPost.com) UNITED NATIONS – US Ambassador to the United Nations Nikki Haley warned on Monday that if the U.N. Security Council fails to act on Syria, Washington “remains prepared to act if we must,” just as it did last year when it bombed a Syrian government air base over a deadly chemical weapons attack. Haley’s warning came as the United States asked the Security Council to demand an immediate 30-day ceasefire in Damascus and rebel-held eastern Ghouta, where Syrian President Bashar al-Assad’s forces, backed by Russia and Iran, say they are targeting “terrorist” groups which are shelling the capital. The Security Council demanded a 30-day ceasefire across Syria in a unanimously adopted Feb. 24 resolution. Russia had said the Security Council could not impose a ceasefire without a deal between the warring parties. UN Secretary-General Antonio Guterres briefed the council on Monday on the implementation of the resolution. Thousands of families are sleeping in the open in the streets of the biggest town of Syria’s rebel-held eastern Ghouta enclave, where there is no longer any room in packed cellars to shelter from government bombardment, local authorities said. Published at JPost on March 12.
b) What action does the U.S. want the UN Security Council to take on Syria? c) The Security Council demanded a 30-day ceasefire across Syria in a resolution adopted unanimously on Feb. 24. Why does the U.S. demand this further action? Be specific. d) Ambassador Haley told the Security Council, ”It is not the path we prefer, but it is a path we have demonstrated we will take, and we are prepared to take again,” saying, “When the international community consistently fails to act, there are times when states are compelled to take their own action.” Consider the plight of the people being attacked by Assad’s troops. 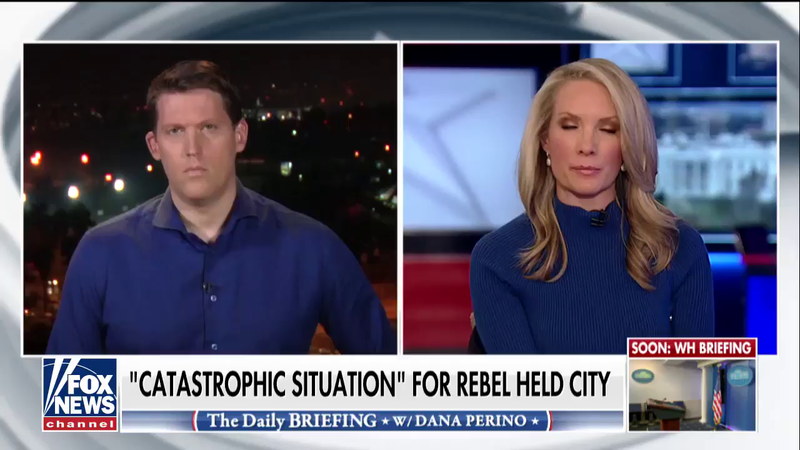 What do you think: should the U.S. take action to force Assad into a temporary cease-fire if the UN Security Council does not act now? Explain your answer. Ask a parent the same question. Under the direction of Syrian President Assad, the Syrian military is continuing its relentless aerial and ground assaults on eastern Ghouta in a campaign to recapture the rebel-held Damascus suburb, forcing the postponement of a critical shipment of humanitarian aid, according to the International Committee of the Red Cross. 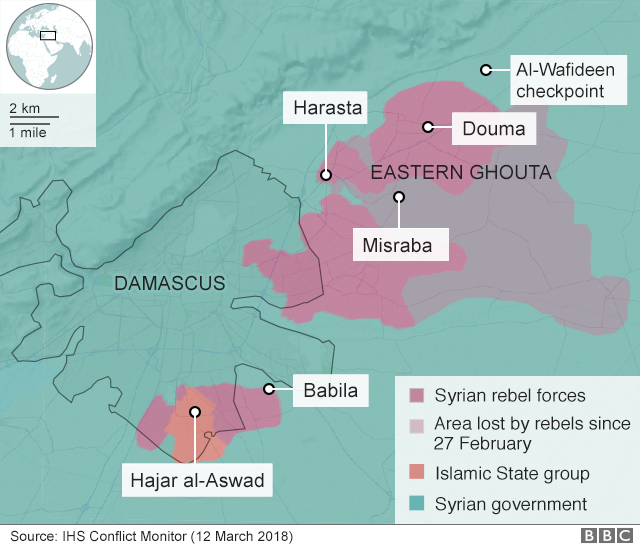 …Fighting in eastern Ghouta has escalated in recent weeks as the Syrian government, backed by Russian forces, boosts efforts to recapture the area. The violence has killed more than 900 civilians, said the Britain-based Syrian Observatory for Human Rights, which added that pro-government forces have effectively seized half of the territory held by the opposition. 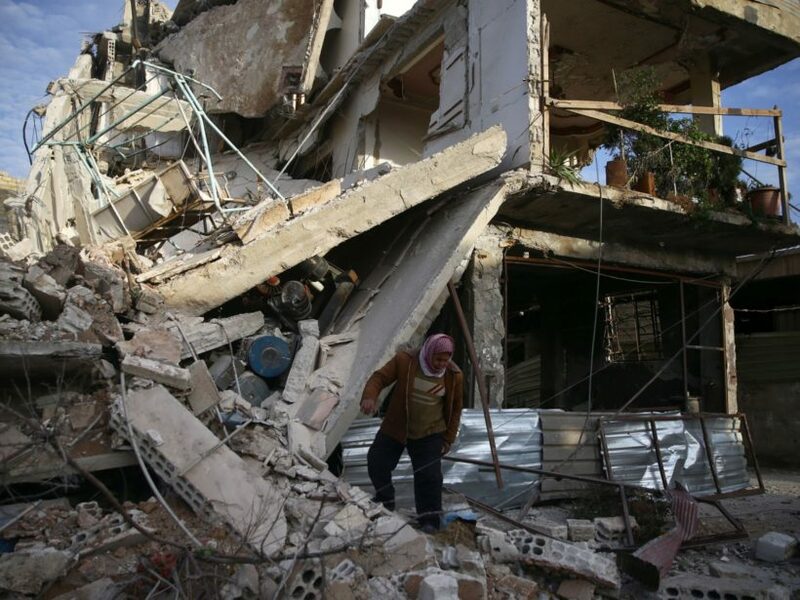 … “The United Nations Security Council must enforce its own resolutions which call for an end to sieges of civilian areas and attacks on civilians, and for unimpeded humanitarian access. Permanent members, including Russia, should not block measures to end and redress mass atrocities.